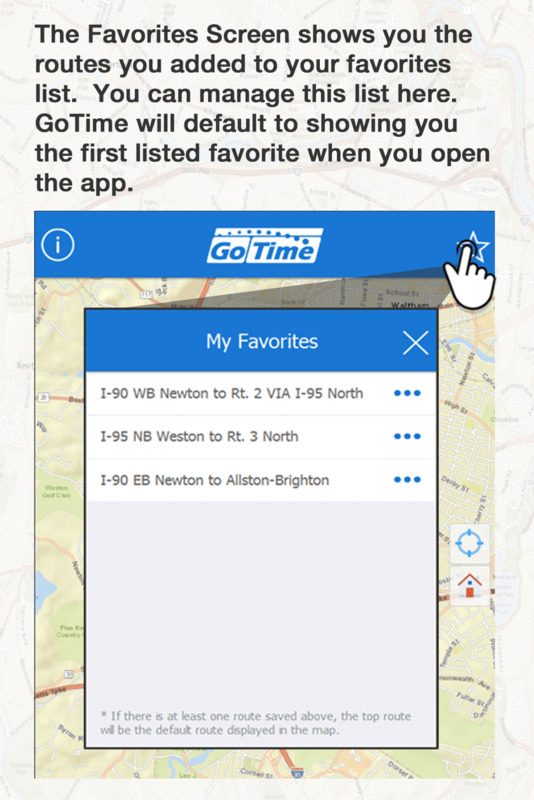 The official MassDOT travel time app. 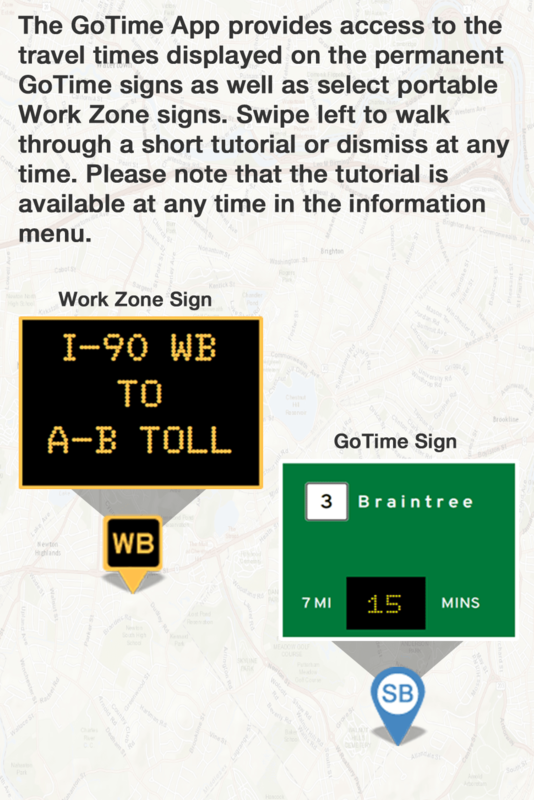 GoTime is an app provided by MassDOT to complement the roadside travel time signs and Work Zone signs found on highways in Massachusetts. 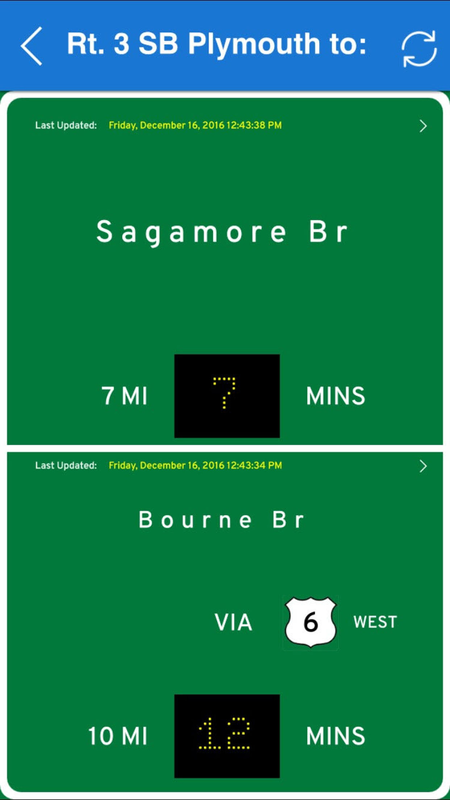 Users can select, view, and favorite the real-time travel signs to display congestion information for that segment of roadway. 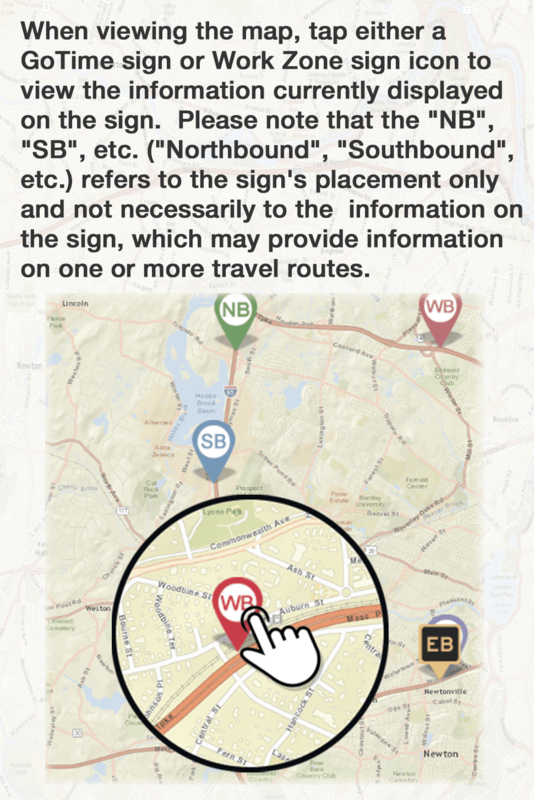 Information from more than 130 sign locations along more than 700 miles of roadway. 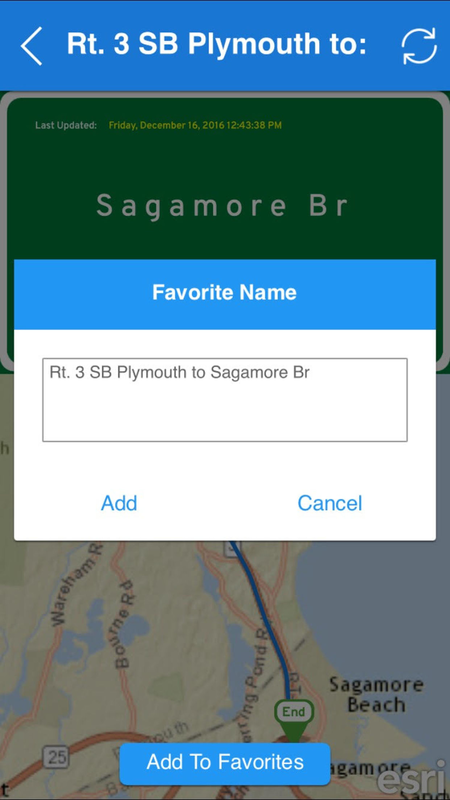 A function allowing the app user to save routes which are routinely used, allowing for quick access to information on those routes. 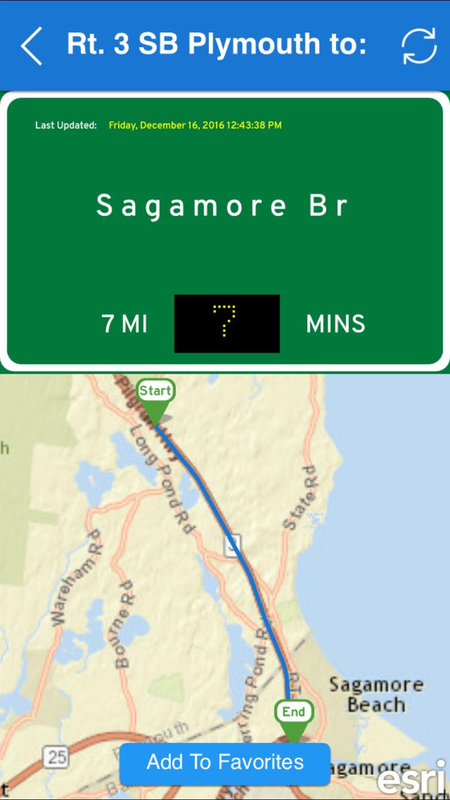 Detailed sign views which provide the distance and number of minutes it will take to travel that distance. 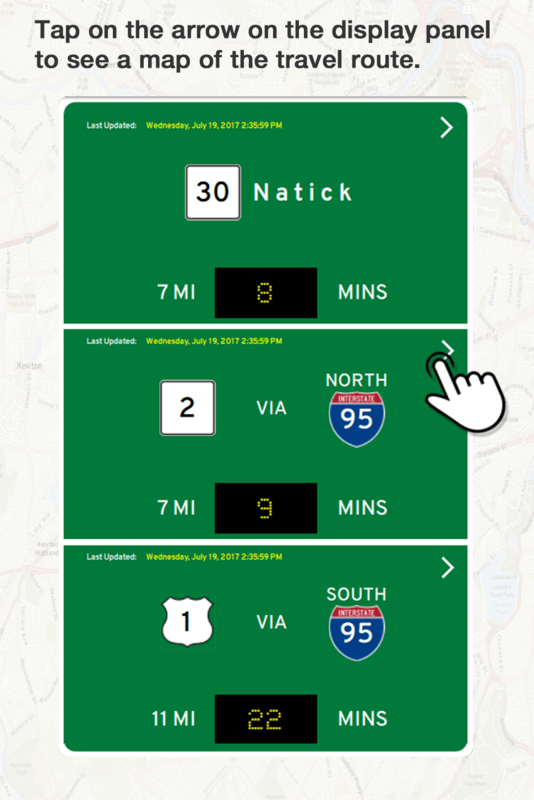 Real-time data which is pulled from MassDOT servers and provides the latest travel time information. 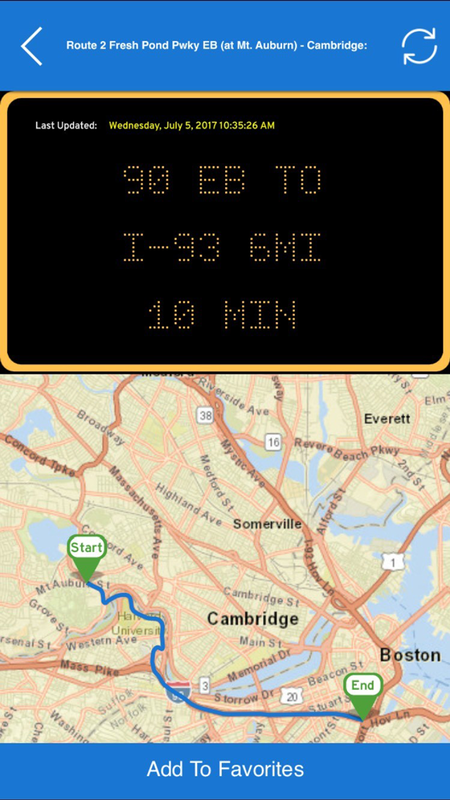 SAFE DRIVING NOTICE. 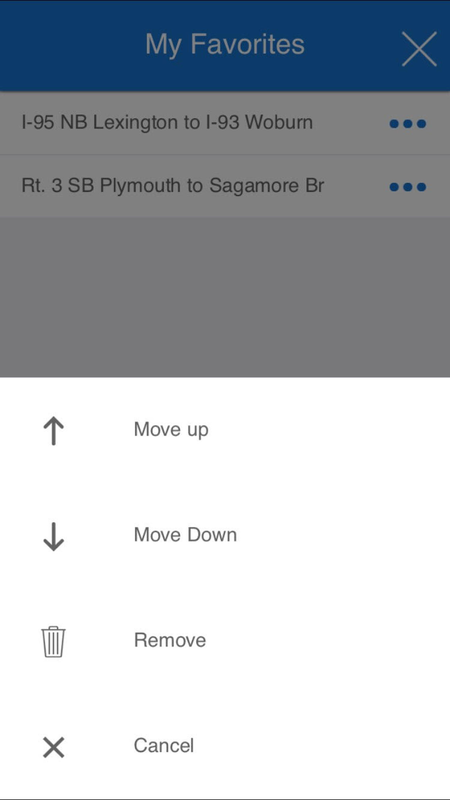 ANY INTERACTION WITH THE SERVICE WHILE OPERATING A MOTOR VEHICLE IS STRICTLY FORBIDDEN. ALWAYS DRIVE VIGILANTLY ACCORDING TO ROAD CONDITIONS AND IN ACCORDANCE WITH TRAFFIC LAWS. 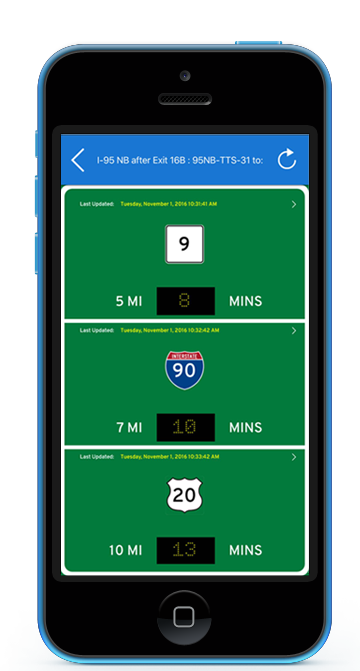 ANY INTERACTION WITH THE SERVICE SHOULD ONLY BE CONDUCTED WHILE YOUR MOTOR VEHICLE IS NOT IN MOTION AND IN A LOCATION PERMITTED BY LAW. 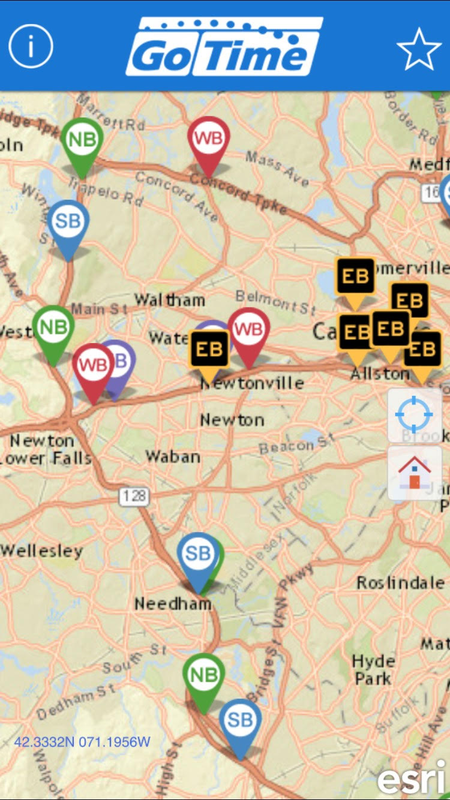 MASSDOT DISCLAIMS ANY WARRANTIES RELATING TO THE ACCURACY OF THE MAPS, CONTENT, TRAVEL TIMES, OR ROUTES PRESENTED OR DISPLAYED IN OR BY THE SERVICE. 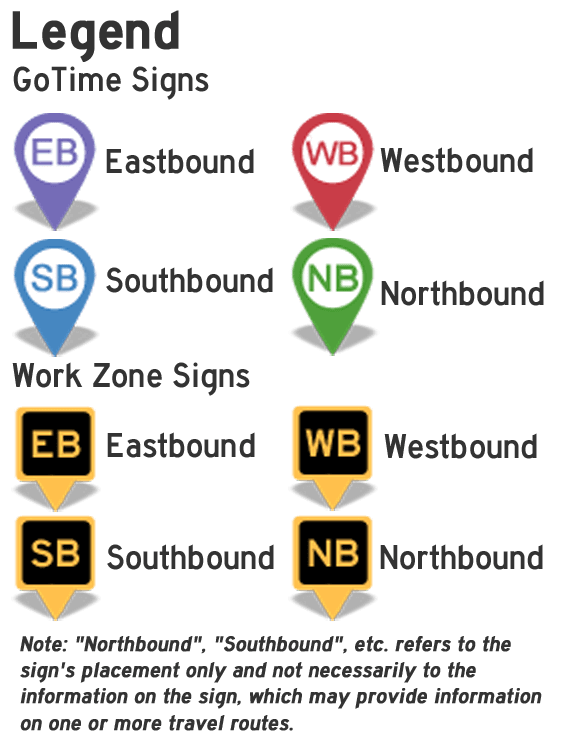 YOU AGREE AND ACKNOWLEDGE THAT YOU ASSUME FULL, EXCLUSIVE AND SOLE RESPONSIBILITY FOR THE USE OF AND RELIANCE ON THE SERVICE, AND YOU FURTHER AGREE AND ACKNOWLEDGE THAT YOUR USE OF OR RELIANCE ON THE SERVICE IS MADE ENTIRELY AT YOUR OWN RISK. 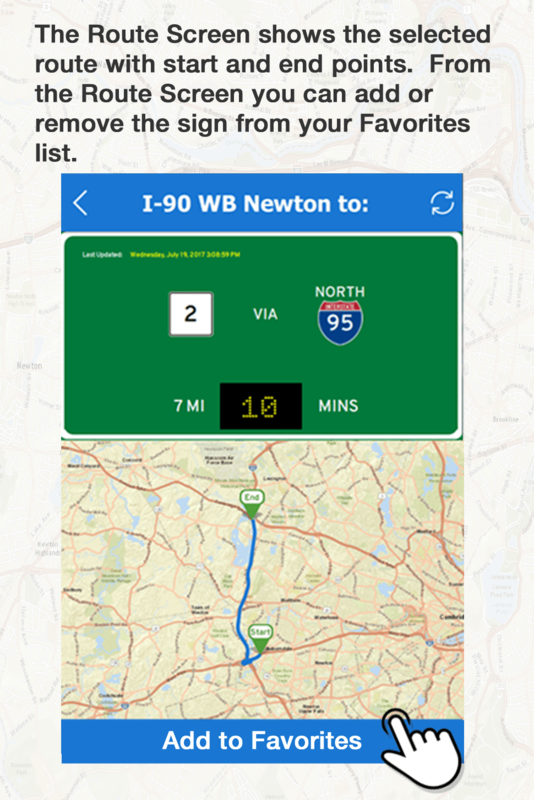 YOU FURTHER ACKNOWLEDGE THAT IT IS YOUR RESPONSIBILITY TO COMPLY WITH ALL APPLICABLE LAWS (INCLUDING TRAFFIC LAWS) WHILE USING THE SERVICE.